You heard me and put my needs first! Thanks for everything Chuck!! What a difference a good dealership makes. I started looking at used trucks and found one of two trucks I really liked. One was at Acura of Memphis and the other at Wolfchase Toyota. I ended up buying the vehicle at Acura of Memphis over Wolfchase Toyota due the customer service and professionalism at the Acura Dealership. Chuck, my salesman, was awesome to work with and provided me with a very fair price for the vehicle I purchased. I spent a little more than I had planned but believe the relationship with the dealership will be well worth it. I’ll start with saying my purchase experience with Daryl was excellent. We came in and looked at a used 2017 GMC Acadia. We were very impressed with the price and how the vehicle performed. That said, we decided to shop around a bit and told Daryl that we’d like to look at some other dealerships and get the best deal. He completely understood and told us to take our time and he knew we’d be back. Long story short, he was right! I can assure you that these people will work to earn your business!! The manager Jeff told us that if we came back he would make sure that we were taken care of on our trade in and kept his word. The finance rep Travis said he would get us in and out of there and he also kept his word, and even more importantly, made absolutely sure that we understood all of the terms of the warranty, gap, and terms. 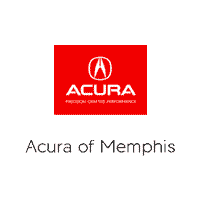 I could not recommend a better place to buy a vehicle than Acura of Memphis! Great experience with buying a car there!! Go see Michael Harrison !! He made it an enjoyable experience!